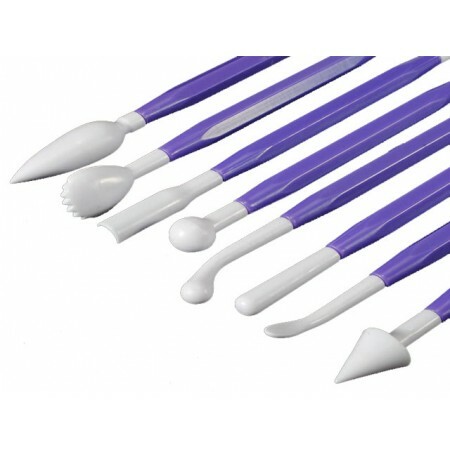 Home » Special Offers » 8 Purple Modelling Tools with Dual Edge. These modelling tools are ideal for use with a wide range of edible materials such as sugarpaste, petal paste, marzipan, Mexican paste etc. Create detailing and effects in seconds. 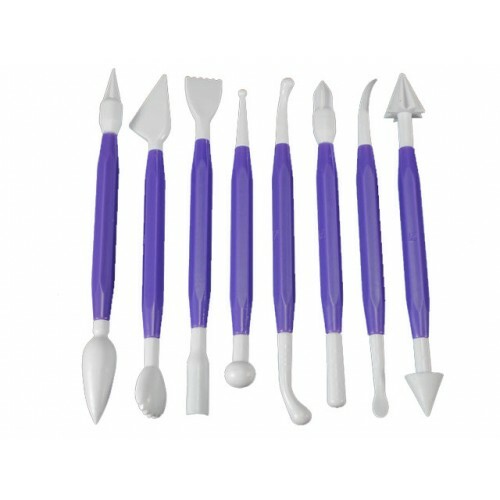 Set of 8 tools with 2 different shapes giving 16 shapes in total. 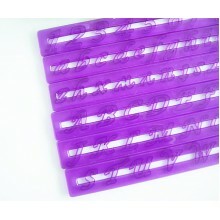 Tool 2 - Blade and Shell tool - The blade is used to cut and shape, the Shell end can be used to emboss pattern. Tool 3 - Ball tool - use to make round indentations and smooth curves in modelling and cup and frill petals in flower making. Tool 4 - Scallop and comb tool - use scallop end to cut scalloped edge, cut circular holes in plaques and emboss mouth shape on faces. Comb end can be used to mark dotted lines to represent stitching or score parallel lines. Tool 8 - Taper cones 5/6 star modelling tool - the cones can be used to emboss small star patterns or to mark divisions in tubular flowers. 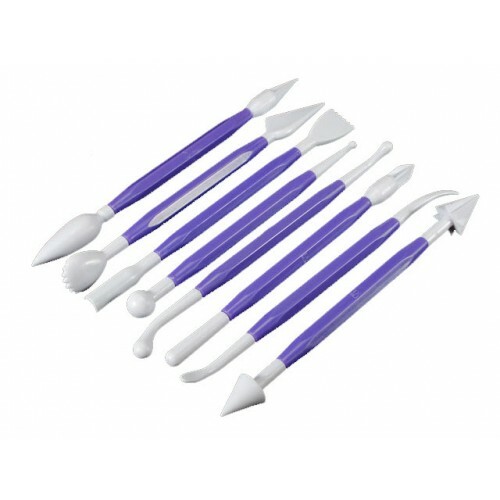 Tool 9 - Bulbulous Cone Tool - use both ends to hollow and shape flowers. Can also be used for frilling Garrett Frills.